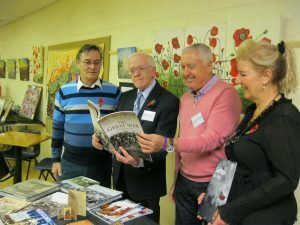 Yes, it's good to take a look at other member's work. 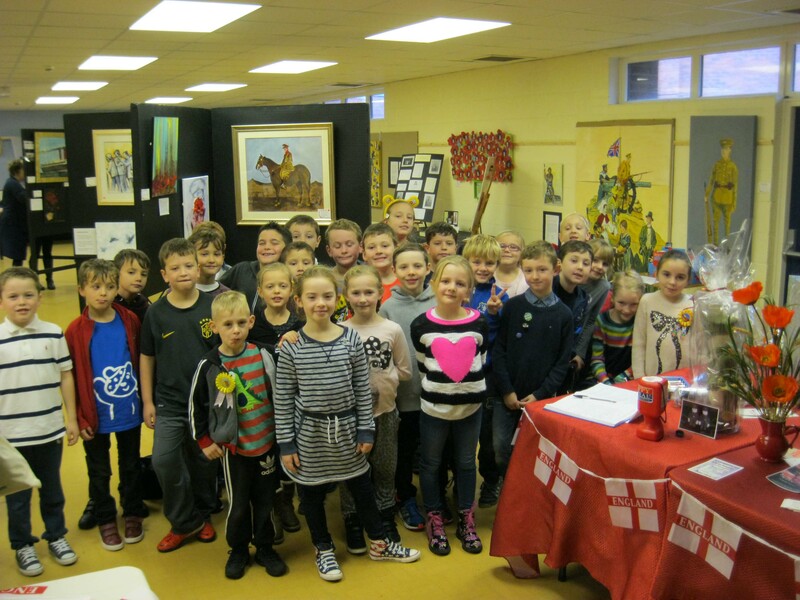 In 2014 we held a large exhibtion at Maghull town hall, and invited the local schools to come and see our exhibition, which helped them to vsually understand better the horror of the First World War. One of our members working on bigger scale. Whenever the weather permits, we try and work outside. 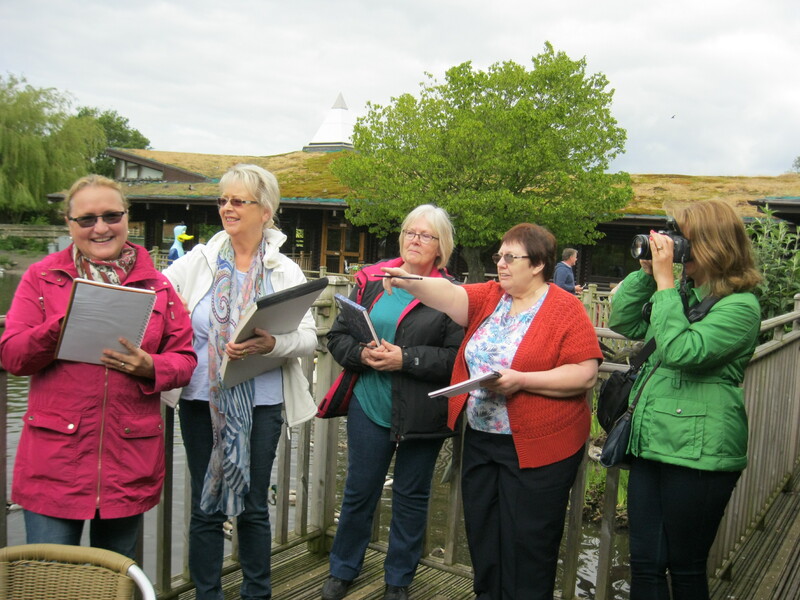 This was a field-trip to Martin Mere wildfowl trust, near Ormskirk, Lancashire. Two members working together on one art piece. 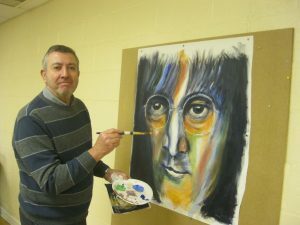 I run a number of art classes in several locations within Merseyside, mostly Sefton and Liverpool. I've been doing art courses for a number of years and the combined groups have now grown into a very lively art group where people come together to not only learn about doing art, but also as a social activity. 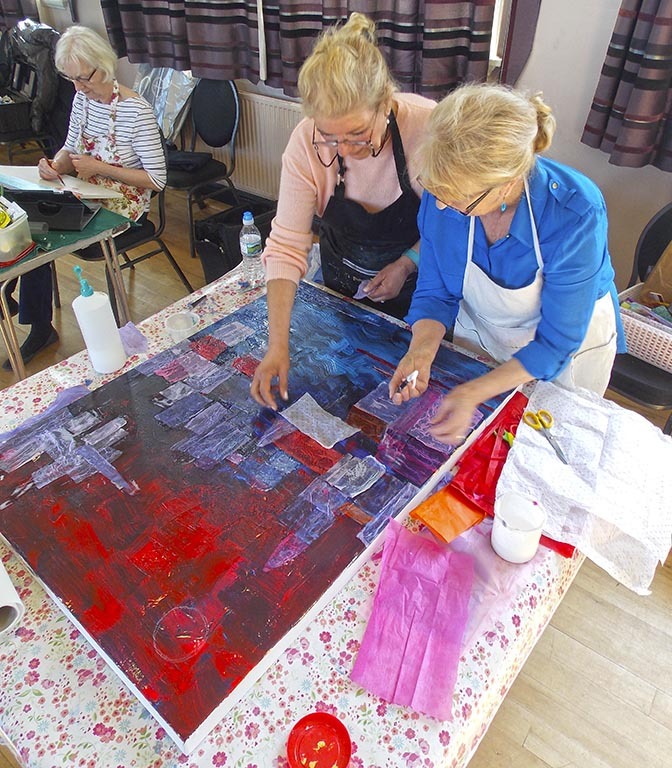 There are no pressures put on people in any of my classes - No certificates to achieve and which take away much of the fun from art and are worthless to most people. 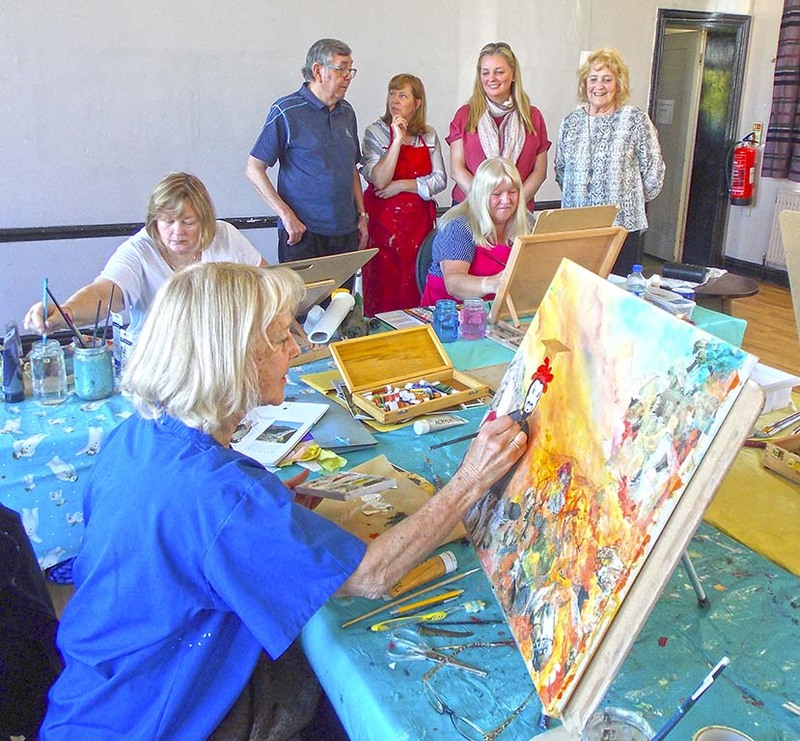 At the same time my art courses are structured according to the needs of each person. As with any group of people, you will find different needs and different abilities. Some people may have done art at school, then nothing for many years, but have a long desire to do it - And that's all that's needed. 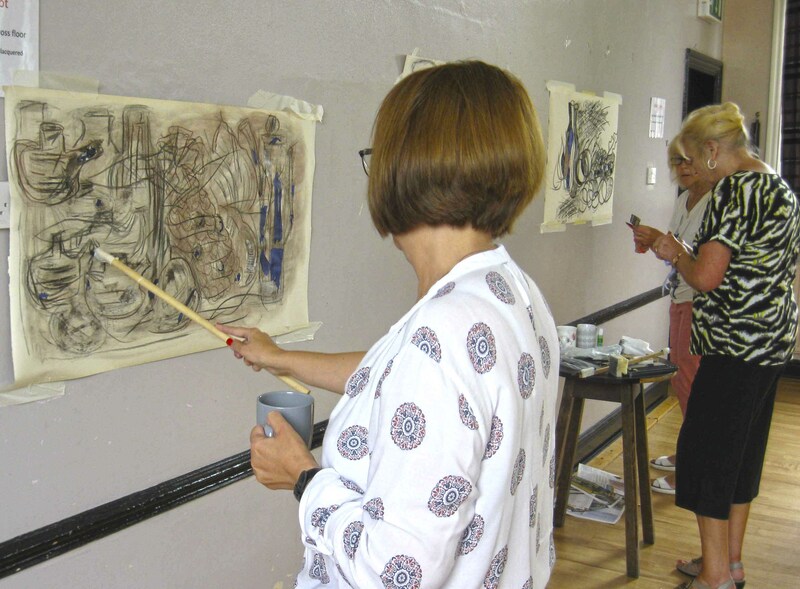 The course is also useful for 6th formers, thinking of going onto a foundation art course, or degree course, as the course will equip you with the necessary skills and knowledge essential for doing a degree course – especially the life drawing class. I can teach you the basics, starting from the beginning, learning how to draw up your subject, then on to tonal work, using charcoal. Then you move on to using paint, again, starting with the basics. A few weeks later you will start to learn about colour theory. Once you reach this stage, then you can start to think about working more independently, but with me still offering help and tuition. 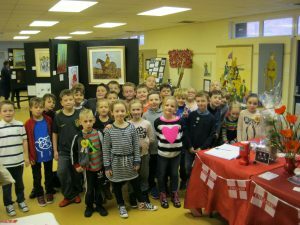 Over the years of the Sefton Art Group, we have helped to raise money for numerous local good causes and charities. 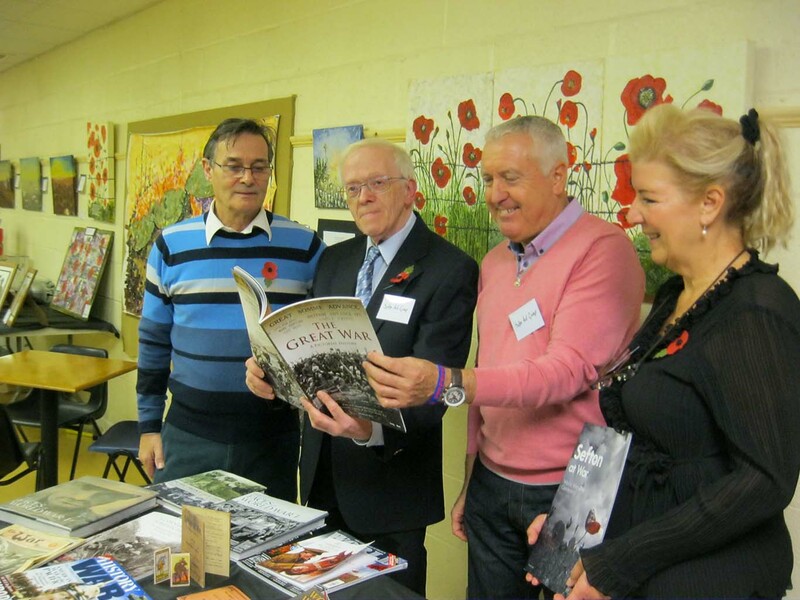 In 2014 members held a very big exhibition at Maghull town hall to commemorate the out-break of the First World War. 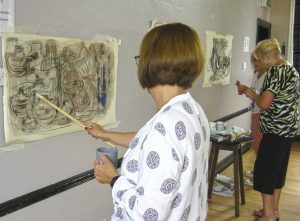 One of our members, experimenting working bigger scale, and keeping a good distance from the drawing surface. This will result in very interesting drawings, because you are loosing that tight control! 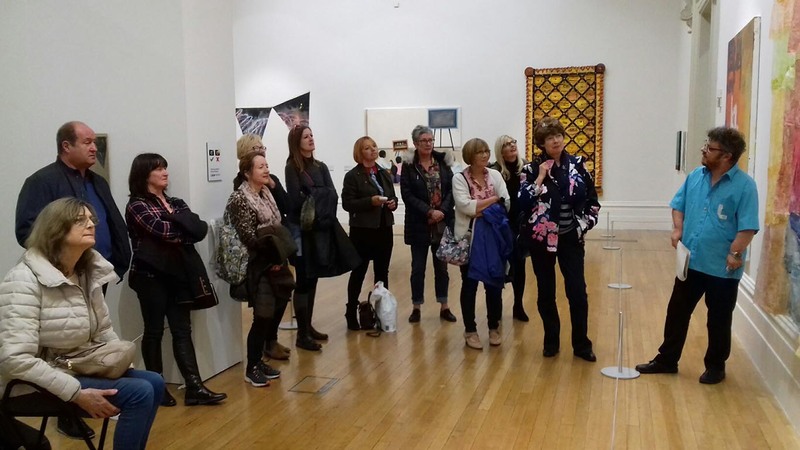 As a member, you will get to visit the exciting exhibitions which come to Liverpool, as in this image: a visit to the Walker art gallery to enjoy a curated visit of the John Moore's exhibition in 2018. We also visit the large summer exhibitions that come to the Liverpool Tate. 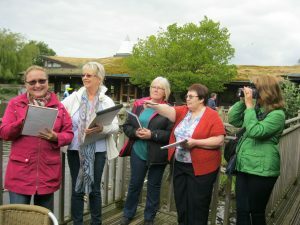 All these visits will help you develop as an artist, plus it's a very enjoyable social occasion.